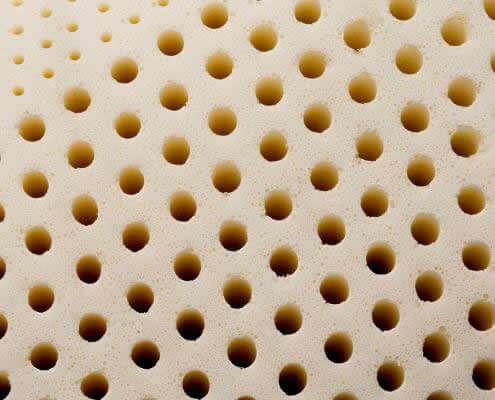 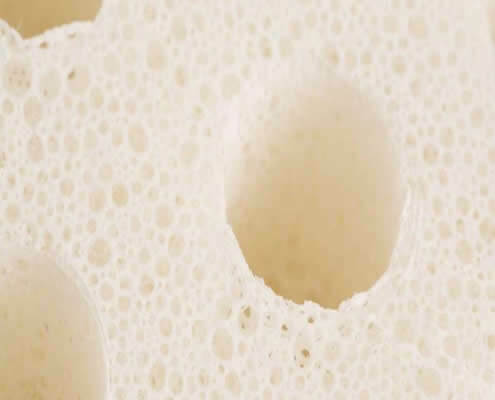 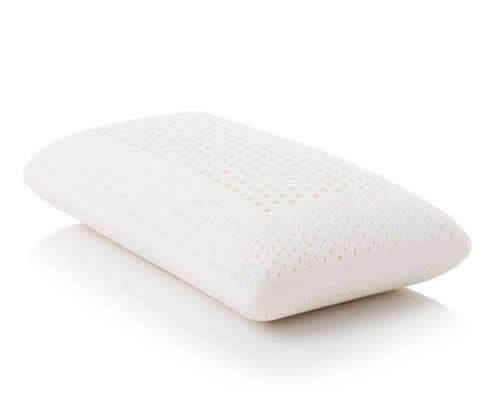 The Talalay Latex Pillow is made with 100% natural latex with no synthetic additives. 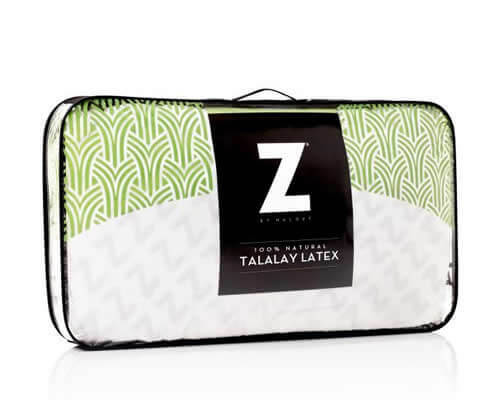 The Zoned Talalay Latex pillow is made with responsive foam to help relieve sleeping pains. 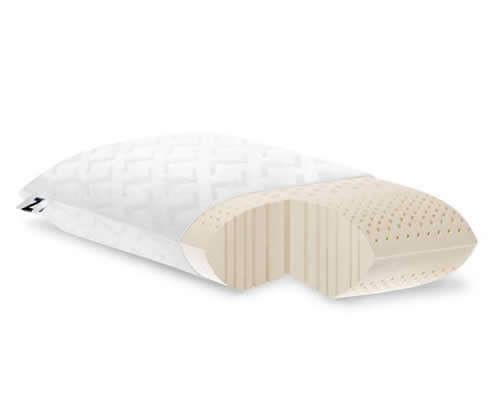 Zoned comfort has larger holes on the inside to cradle the neck and smaller holes on the outside to support the neck, all while increasing air circulation and breathability. 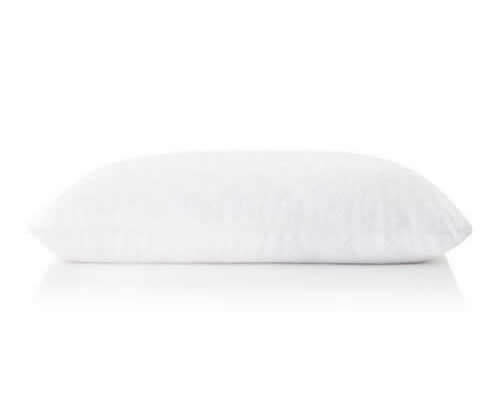 This pillow is accompanied by a luxuriously soft rayon from bamboo velour cover, which is excellent for sensitive skin and temperature regulation.